Ok it started with the Yankees but we lost to the Twins, and now Boston, while there were a few games won here and there. The Rangers played a lot of baseball this month and are in need of a break. The Twins come to Arlington and the hope is that the home crowd will refresh the team. What is really needed is a long break to regroup and retool the Rangers for the 2nd half. What is it going to take to get the Rangers back on course for the season? Yu Darvish and Derek Holland, The Rangers have the bats but if Boston was not a clear indication that our starting pitchers need some serious help. In this long race Cole Hamels and A.J. Griffin can not carry the whole starting rotation. Then there is the bullpen, we need a long man, I do not like Cesar Ramos for this role and I am not sure if Tony Barnette can take on this role. Shawn Tolleson makes me as nervous as a cat in a room full of rocking chairs. I don’t know if its going to be good or really bad. After the break we should know more. Yu Darvish is at double A Frisco doing a rehab assignment, and after the all star break we will know if he comes back. Some much need relief Keone Kela is in triple A working out his rehab assignment. Derek Holland has not started any rehab program as of right now, and he saw the doctor this week so we should know soon when his rehab will begin. Holland has shoulder inflammation and was placed on the 15 day DL but according to pitching coach Doug Brocail Holland or Darvish will not come back until after the all star break. The Rangers have tried and some have not been good, Luke Jackson, after what would be a called a horrible call up has been sent down to double A. I am usually not in favor of such a drop but he needs to get his head on straight, at 24 he should be further along and be able to handle the MLB pressures. The rumor mill is buzzing about news that the Rangers and the Rays might make a deal for pitcher Jake Odorizzi The Rangers and the Braves also have some hot rumors going on for pitcher Julio Teheran Who is going to be trade bait? 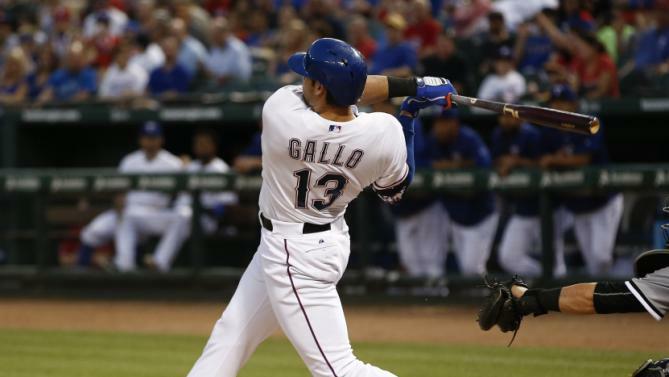 The big talk is Joey Gallo, which I have a very strong opinion about, Gallo, is not the future of the Rangers, Some team wants him, great here you go. Would you like a bow on the hat, but I have not been impressed with the performance. That being said, I think a trade for Gallo would do something for him, I think whoever picks him up will see a vast improvement from what he is doing now for us. However if we are going for pitching then we are going to need two guys and after Gallo the other name out there is Profar and I am not ready to part with him. We have worked so hard with all of his injuries and I feel like he is in a good place to help us with production. I want to keep him. If you are asking me to choose who goes and who stays, sorry I don’t think I could. Sure glad this is my job.